As an alternative or addition to dog training, dog agility training is a great way to help your dog keep fit and healthy in an active and fun way. Catering for all dogs no matter how big, small or what breed they are. Covering the Birmingham and surrounding areas our proven results help with your dogs obedience too, enabling better handling and behaviour. Dog agility training is generally used when competing at dog shows, but the trend is shifting and it is becoming more popular for the improved health and bond building benefits for you and your dog. 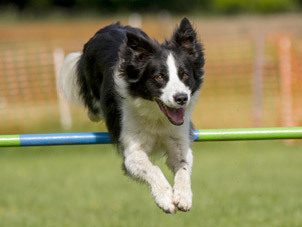 Our dog agility sessions will help your dog to weave, tunnel and jump around the specially selected course in no time. Maisie’s Pet Boutique offer bespoke dog agility sessions for the Birmingham areas. We run regular group courses as well as offering one to one sessions, that take place throughout the year in Redditch. 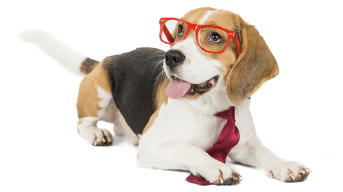 Rebecca Bsc (Hons) offers Dog Training on an individual basis, tailoring training and canine behaviour techniques to the needs of the dog and owner. 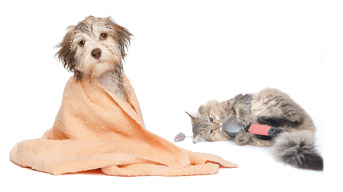 A modern, fun and luxury dog grooming parlour, designed with your canine companion in mind. We aim to change what was once a difficult….